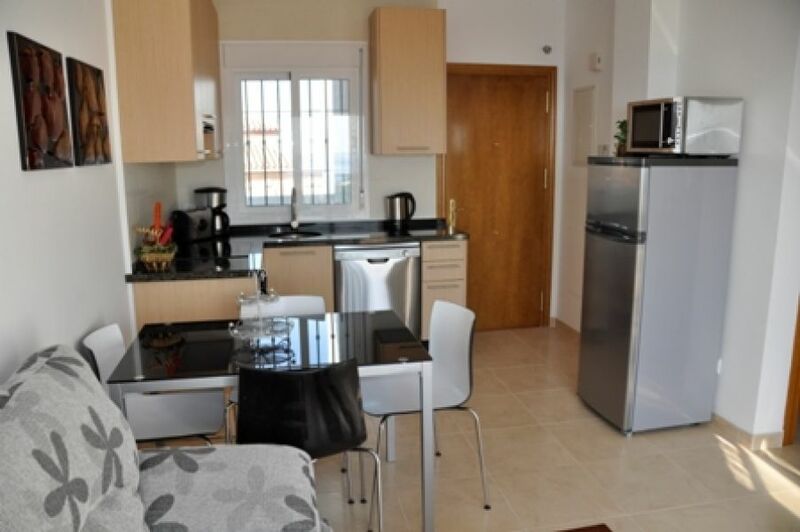 Situated in the same quality residential area as our Chimenea Villas above the Burriana Beach the Apartments Chimenea are a newly built complex of 32, 2 bedroom apartments. The communal pool is 10m x 4.5m with depths 0.9m to 1.46m and is surrounded by large terraces. Burriana beach is reached on foot downhill through the gardens of the Capistrano Playa complex or by road in just a few minutes. 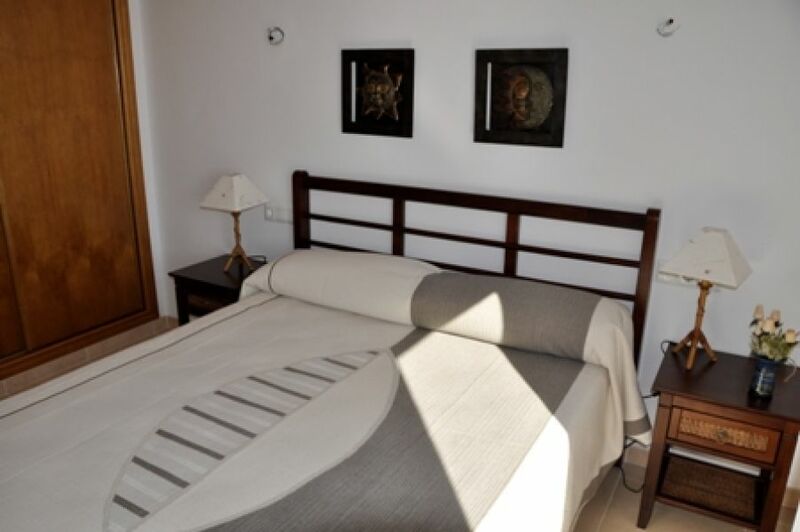 The centre of Nerja is a 5 minute drive or local bus journey away. 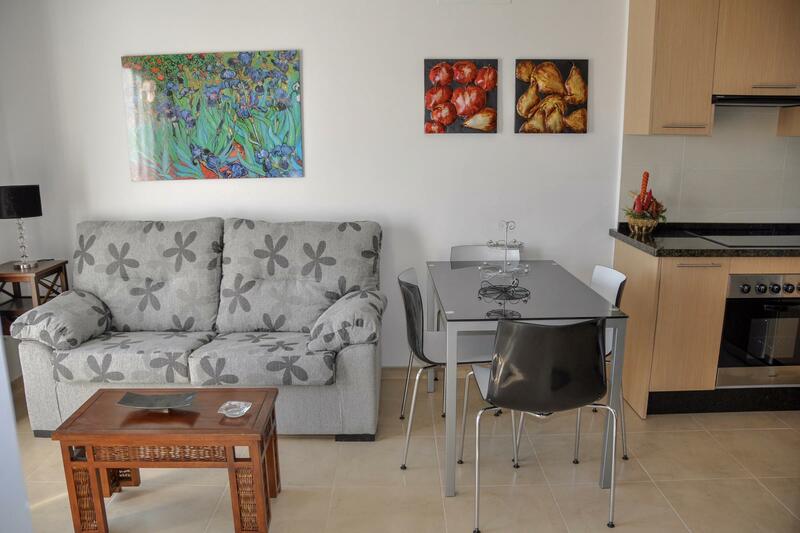 We have 3 apartments for rental, all furnished to a high standard and facilities include: - Dishwasher, air conditioning/heating unit in lounge only, washing machine, fridge freezer, microwave, CD player, flat screen TV with Satellite channels, safe (payable), patio furniture, Free Wi-Fi. 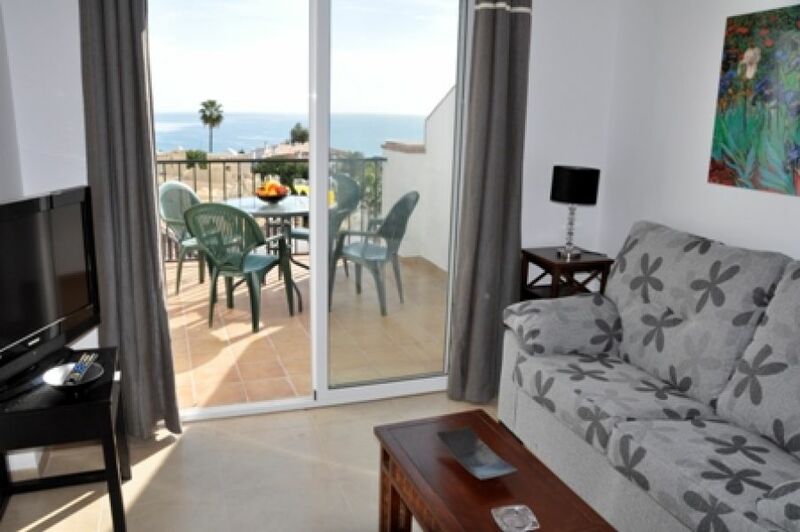 Lift to apartments in block C. This second (top) floor apartment has wonderful sea and mountain views from itÂ´s spacious terrace. Inside there is an open plan fitted kitchen, dining and living area. 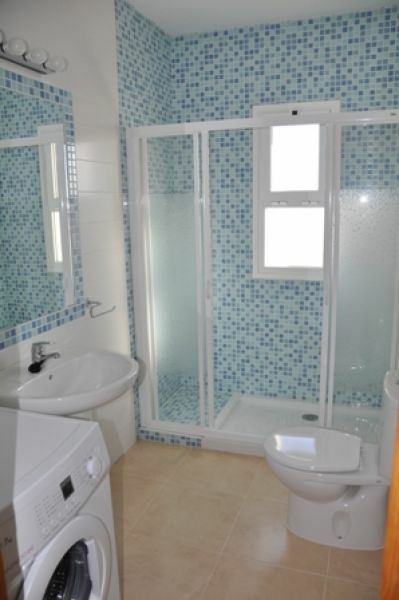 From the dining section there is a hallway leading to a lovely tiled walk-in-shower room and the 2 bedrooms. 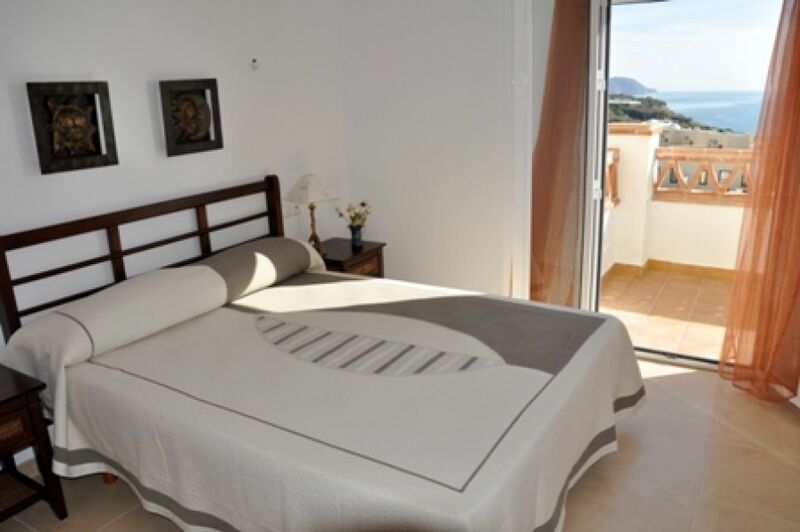 The airy master bedroom has a double bed, fitted wardrobes and bedside tables. From this bedroom and the lounge sliding patio doors lead on to the private terrace.The second bedroom is compact but still has plenty of room for twin beds and wardrobe. We were very satisfied! Thanks a lot. The service was efficient – the wi-fi was not working so I phoned and somebody came quickly to fix it ... and at the same time brought me a hairdryer !!! The area was our ‘’ coup de coeur ‘’ as we say in French: the lovely town of Nerja and all the bars and restaurants, the nice beach at Burriana and it was located close enough to go and visit towns close by like Granada & Malaga. At the end of the day, we were very happy to return to our little nest ! I find the only thing missing were some basic necessities like hand soap, toilet paper and basic stuff for the kitchen. Overall a great stay and I hope one day I can return to this lovely place in the sun !!! The apartment was great - very happy with it indeed. We found it very clean and well equipped. The view was fantastic! We have just returned from a fantastic few days at the chiminea apartments,we had a great time and all was perfect. I will be in touch early next year and hope to rent a bigger villa in Nerja from you early next July.I need to sort out who wants to come and check holidays with work." The apartment was very clean and everything worked. Directions to the apartment were good and car parking was ok. All in all a very nice place to stay, good views from the balcony. The only comment is that we struggled with one of the keys into the apartment block – the other key worked fine. The apartment 2D-C Block had a great sea-view, and we had several nice afternoons on the balcony. The kitchen was properly equipped, but the frying pan need to be changed. The pool area did have 2 sun beds only, and no umbrellas…no good  We was lucky to use ( one special request ) the pool-area on the other side of the street (Capistrano ) which was very nice.